Who doesn't love LEDs? I sure do. That bright white illumination is so attractive I feel like a fly that's attracted to that electric blue light of death. Simply put, the Packlight is a flexible light strip that you can bend and shape to light up various objects and where you need a bright light most. The possibilities are pretty much endless with the Packlight, using it for photography and video purposes comes to mind. 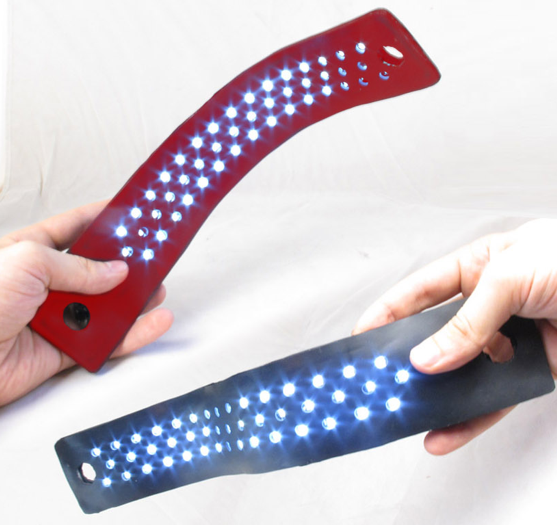 This isn't just another LED strip, the Packlight packs 45 bright LEDs in a waterproof, silicone constructed strip that can bend and hold its shape, and even magnetically attach to metal surfaces thanks to the built-in strong neodymium magnet ends. Other features like multiple brightness modes, built-in USB rechargeable battery and hanging river holes makes this the perfect light source for anything that comes your way. The Packlight is one sweet gadget to have around, and it can be pre-ordered in black or red for $45 over at Kickstarter.